Long Weekend! How are you celebrating? Everywhere you look, there is chocolate goodies announcing loud and clear that it is creeping into Easter. And with Easter comes our most treasured long holiday weekend. So what are you planning to do on your long weekend break? Are you celebrating with family? Or maybe you are planning to celebrate the long weekend by hosting a huge party at your place? 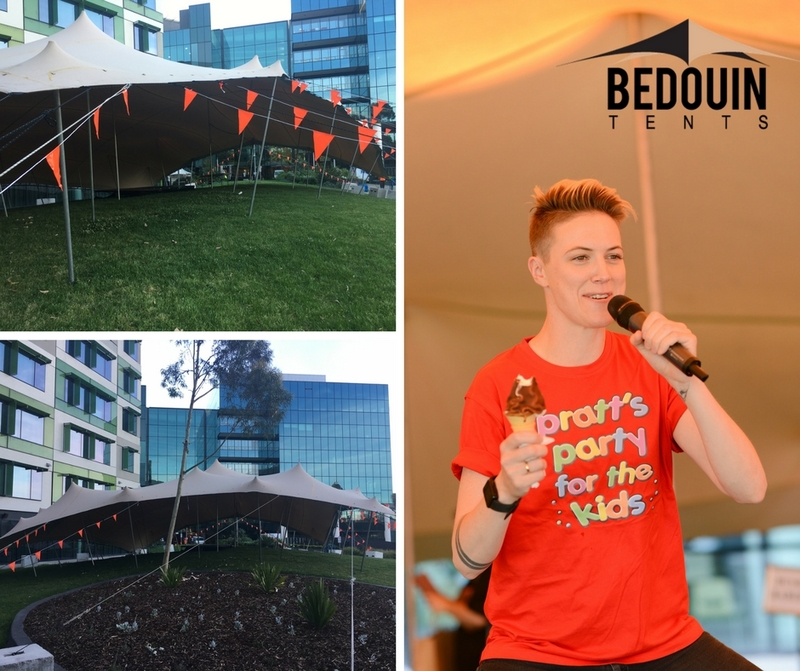 Whether you have a small or big backyard, we can make your event eye popping with our freeform stretch tents. They can fit into tight, difficult and hard to reach spots so why not try one today and wow your guests! Or maybe you are looking to use one of our piccolo or echidna pods at your event? Don't worry, we have got your needs covered! Royal Children's Hospital organised a great Christmas charity event for the kids. They used one of our 15 x 20m sand freeform stretch marquee with concrete weights as part of their charity event put on by Pratt Holdings. They also had a petting zoo, jumping castle, magicians and clowns to treat these kids to an unforgettable event. They even featured 9 high profile olympians that made that came along to celebrate with the kids. The event was organised by Pratt Holdings and they did such a wonderful job to make this day a memorable one for the kids. When you think of a corporate event, you envision a lavish function, complete with full catering, drinking and oozing sophistication. It's also at these functions that you can spot the high profile guests; from important clients to sponsors.